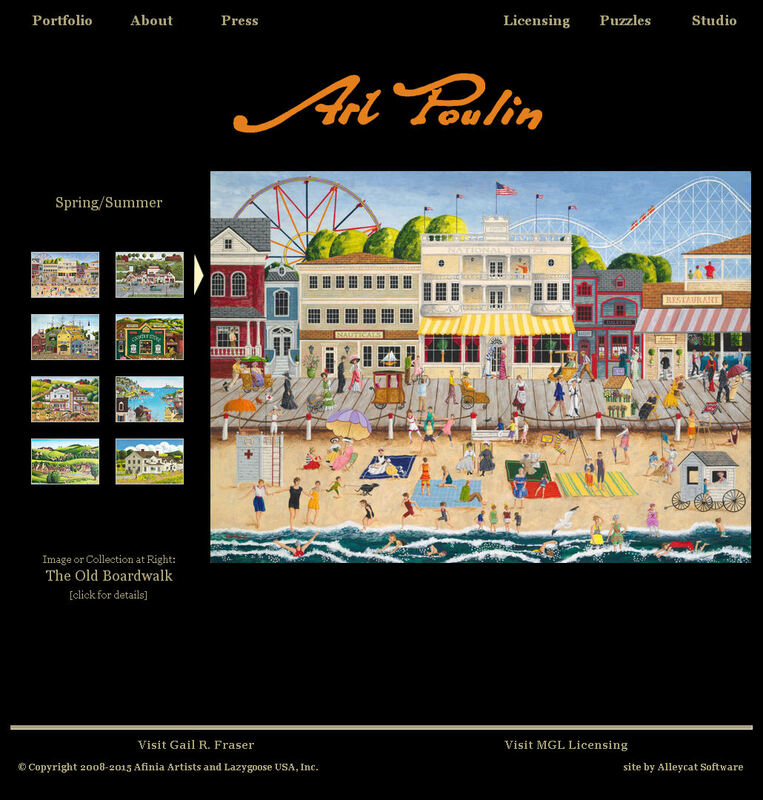 Art Poulin showcases the artist's paintings. 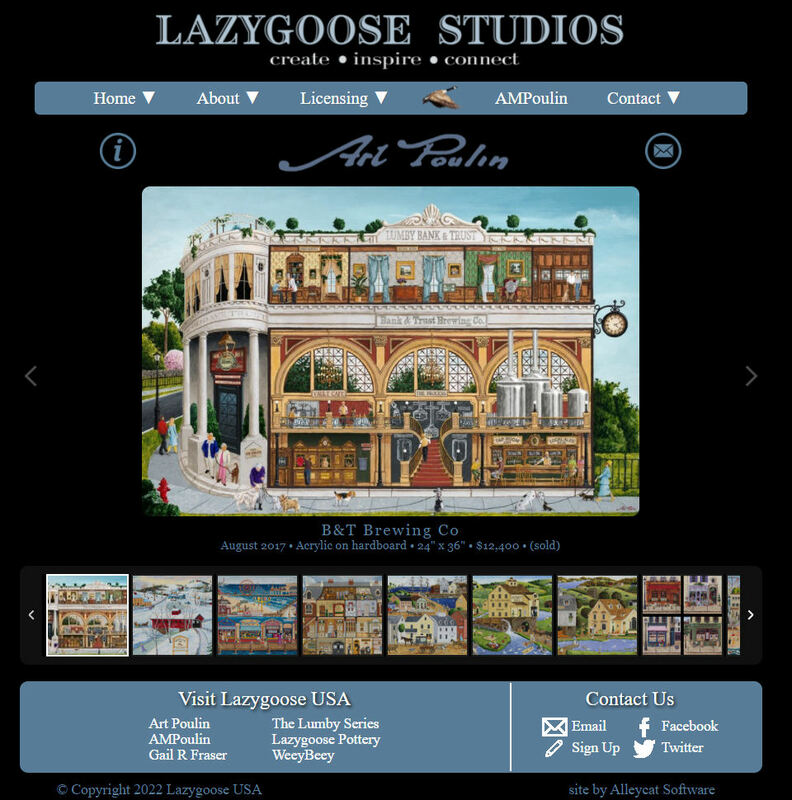 Paintings are separated by season and can be selected from pulldown menus, or all paintings can be viewed. There is also a slideshow for each season showcasing selected paintings on the home page. Customized jQuery gallery software presents random thumbnail subsets on all pages, plus full-featured galleries with thumbnails and large size images. Scrollbar customization allows use of scrollbar or arrows to scroll left/right to view samples on the home page. Scrollbar customization allows use of scrollbar or arrows to scroll left/right to view samples on the home page. Slideshows showcase paintings for each season.